Philadelphias top custom website design company, Dynamic Digital Advertising builds the type of website that can place high on major search engines such as Google, Yahoo, and MSN. With a proprietary fourteen-step process for professional website development that uses every possible tool to garner the highest search engine rankings, Dynamic Digital Advertising can design and develop strong, search engine-optimized websites. Included in this custom website design process are competitor marketing analysis, website goal setting, visitor conversion mechanisms, professional website hosting options, and much more. 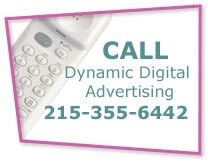 Dynamic Digital Advertising is a prominent graphic design firm located just outside of Philadelphia. DDA is pleased to offer one of the most expansive and diverse graphic design service lines in the nation. These services encompass graphic design for trade show displays, graphic design for logos and branding, aesthetic web graphic design, large format graphic design, and many more. Dynamic Digital Advertising has a crew of degreed graphic designers who have worked with numerous companies from several types of industry segments and who make the impressive corporate imagery you need to initiate a successful promotional campaign. Provide your customers with a customized medium for corporate, product, or service information with one-of-a-kind CD-ROM shapes and sizes by Dynamic Digital Advertising. Interactive CD-ROM design and development services by DDA do more than provide high-end multimedia technology: they make the right impression on your audience. Demand the CD-ROMs that stand above those of your competitors even before they are put into the drive. Call Dynamic Digital Advertising today to find out more about DDA’s unique CD-ROM design and production services. Just about everybody has a business card and just about every company could use an informational CD-ROM. Stand out with interactive business card CD-ROMs. The same size as a business card, these CD-ROMs play in almost any computer's CD drive and are filled with more information than any business card could provide. On the front, many of DDA’s clients chose to provide the normal contact information. These business card CD-ROMs are distributed to an audience. Then each member, at his or her leisure, can load the business card into their computer, and receive information about your company and your products, services, financial health, sales, marketing campaigns, and more depending on your needs. To order a business card CD-ROM designed for your company, call Dynamic Digital Advertising today. Providing a uniquely designed corporate or product CD-ROM does several things: (1) Showcases unique advertising and marketing strategies for your products or services. (2) Enhances the professional corporate identity. (3) Motivates your audience to explore the CD-ROM. 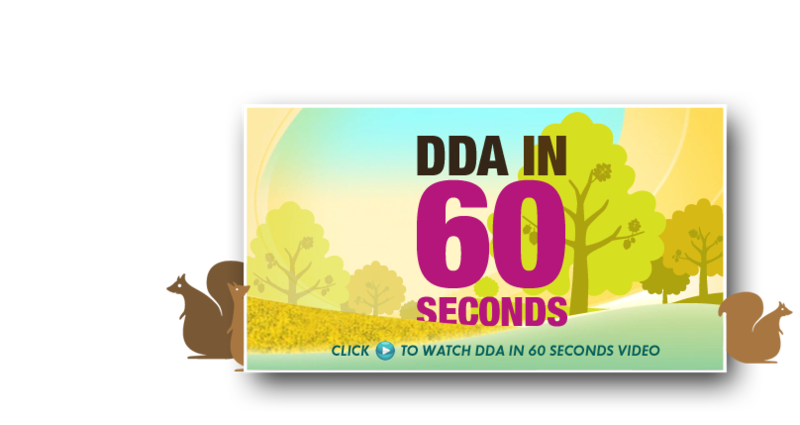 DDA’s offers advanced animation and illustration, professional copywriting, high-end programming, and more. Ensure your audience will want to see the information on the disk. Call Dynamic Digital Advertising today for exceptional interactive CD-ROM design services. Wow your audience from the get-go with a custom CD-ROM design. Once you have made the right first impressions, the viewer is far more likely to become a customer, a business partner, an investor, or more. Presenting the right information through the right media will increase your ROI and allow you to experience a better business benefit. Since 1994, Dynamic Digital Advertising has pioneered the field of digital marketing and promotion. From custom website design and development to search engine marketing, digital photography, professional copywriting, and more, DDA offers the full spectrum of advertising services to clients who recognize the importance of Marketing in the 21st Century™. From Bucks County, Pennsylvania, outside of Philadelphia, DDA proudly serves clients in national and local areas that include states such as Pennsylvania, New Jersey, Delaware, New York, Washington D.C., and Maryland.